Dr. Taylor serves the North Hills School District as the Assistant Superintendent for Curriculum, Assessment and Elementary Education. 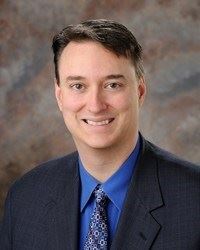 Prior to arriving at North Hills in 2006, Dr. Taylor began his teaching career as a biology teacher in the Fort Cherry School District from 1994 to 1996 and Baldwin-Whitehall School District from 1996 to 2002. He began his administrative career in the Charleroi Area School District where he served as an assistant high school principal, academic principal, high school principal, and the secondary curriculum coordinator. Dr. Taylor served North Hills School District as the Director of Curriculum, Assessment and Technology prior to being commissioned as the Assistant Superintendent for Curriculum, Assessment and Special Programs in 2012. He became the Assistant Superintendent for Curriculum, Assessment and Elementary Education in 2016. His current position encompasses K-12 curriculum and assessment, online learning, professional development, integrating instructional technology into the curriculum, comprehensive planning, PIMS management, data analysis, elementary education and various other administrative special projects. You can contact Dr. Taylor at taylorj@nhsd.net or (412) 318-1016.